Fits a standard 90 litre dustbin, typically a diameter opening of 45-47cm. Packed in a strong stackable double wall carton. Minimum net box weight of 4.14kg. Dimensions 457mm x 737mm x 991mm (18x29x39”). Boxed in 200’s with 4 polypacks of 50 inside. Made from 97% recycled material. Fits a standard 80 litre dustbin, typically a diameter opening of 45-47cm. Packed in a strong, stackable, double-wall carton. Minimum net box weight of 6.62kg. Dimensions 457mm x 737mm x 864mm (18x29x34”). Boxed in 200’s with 4 folds of 50 inside. Made from 97% recycled material. Fits a standard 90 litre dustbin, typically a diameter opening of 45-47cm. Packed in a strong double wall carton. Minimum Net Box Weight of 6.55kg. Dimensions 457mm x 737mm x 991mm (18x29x39”). Made from 100% recycled material. Boxed in 200’s with 8 folds of 25 inside. Fits a 140 litre bin, ideal for larger dustbins. Dimensions 508mm x 864mm x 1194mm (20x34x47”). Minimum net box weight of 7.15kg. Boxed in 100’s with 4 folds of 25 inside. Packed in a strong, durable, double-wall carton. 100% natural recycled LDPE. 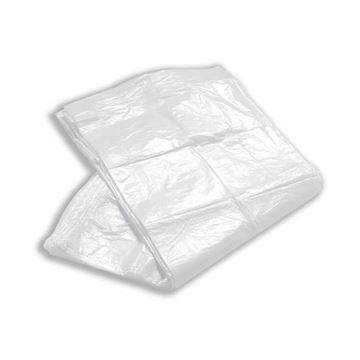 Fits bin sizes up to 305mm (11”) square, or 1150mm (45”) circumference aperture. White HDPE film. Dimensions 325mm x 575mm x 750mm (13x23x30”). Inner packs of 100pcs in polypacks. Packed in a strong stackable double wall carton. 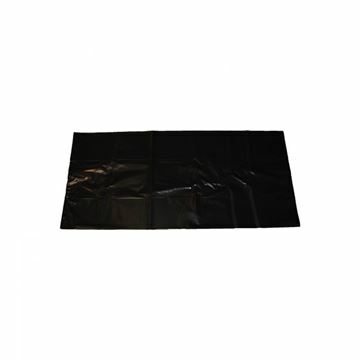 Fits bin sizes up to 325mm (12”) square, or 1200mm (48”) circumference aperture. 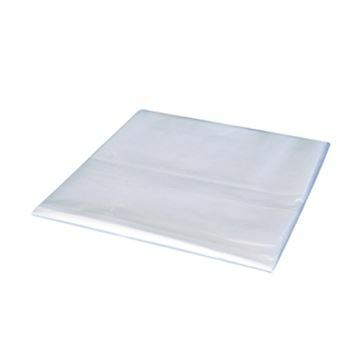 White HDPE film. Dimensions 375mm x 600mm x 600mm (15x24x24”). Made from 50% recycled HDPE. Inner packs of 100pcs in polypacks. Packed in a strong stackable double wall carton. 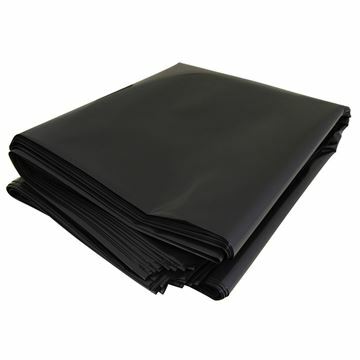 Fits bin sizes up to 325mm (12”) square, or 1200mm (48”) circumference aperture. White HDPE film. Dimensions 325mm x 575mm x 750mm (13x23x30”). Made from 50% recycled HDPE. Inner packs of 100pcs in polypacks. Packed in a strong stackable double wall carton. Fits a 140 litre bin, ideal for larger dustbins. Dimensions 508mm x 864mm x 1194mm (20x34x47”). Minimum net box weight of 7.15kg. Boxed in 100’s with 4 folds of 25 inside. Packed in a strong, durable, double-wall carton. 100% natural recycled. Fits a 240 litre domestic wheeled bin and larger drums. Minimum net box weight of 10.70kg. Dimensions 762mm x 1270mm x 1372mm (30x50x54”). Boxed in 100’s with 4 folds of 25 inside. Packed in a strong, durable, double-wall carton. Fits a 240 litre domestic wheelie bin. Minimum net box weight of 7.90kg. Dimensions 762mm x 1143mm x 1372mm (30x45x54”). Boxed in 100’s with 4 folds of 25 inside. Packed in a strong, durable, double-wall carton. 100% natural recycled LDPE.